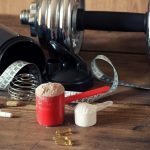 When it comes to your health there are so many different supplements, superfoods and protein powder available today it can become quite unclear which of these would be most beneficial to you. If one is right for someone else may not necessarily be the right one for you when you weigh in different bodies, ages, and dietary needs. In terms of working out and replenishing your body and keeping up your intake of protein to help protect your muscles there are always two protein powders that are in the lead on the market, casein powder and whey protein powder. So what’s the difference? Is there one? What benefits do they have? 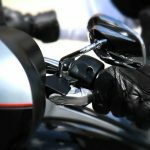 These are all questions most people want to know the answers to when weighing the decision between the two. 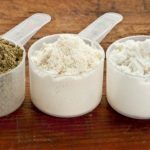 Gaining the proper knowledge on what these powders consist of and what the differences are, might help you make the decision as to which one you should be consuming. Casein protein makes up around 80% of milk protein. It is digested slowly by the body so the stream of amino acids it pumps into your body can last hours. Because it is so slow to digest, it has an anti-catabolic effect on the body making you less likely to snack when you don’t really need to. Drinking this protein powder has also shown it can increase your muscle gain as well as strengthen your bones and replenish your calcium intake. As well as improved muscle growth casein protein powder will speed up your metabolism resulting in your body losing fat quicker and burning more calories even while you sleep. Some researchers found that drinking casein powder will increase strength, most particularly in your legs, chest and shoulders. Another researcher has found that consuming more casein can improve your dental health dramatically. If you drink a lot of sugary drinks or eat a lot of sugary foods then you might want to up your casein intake as it has shown to protect your teeth and reduce or prevent enamel erosion. Sometimes the slow digestion can be viewed as a negative, after or before training when you are trying to consume amino acids quickly, the slower absorption slows the process down. Also, people allergic or who are lactose intolerant should stay away from this powder as they may have a reaction to this protein. Whey protein powders can come in highly concentrated form containing almost 90% protein and little to none fat. 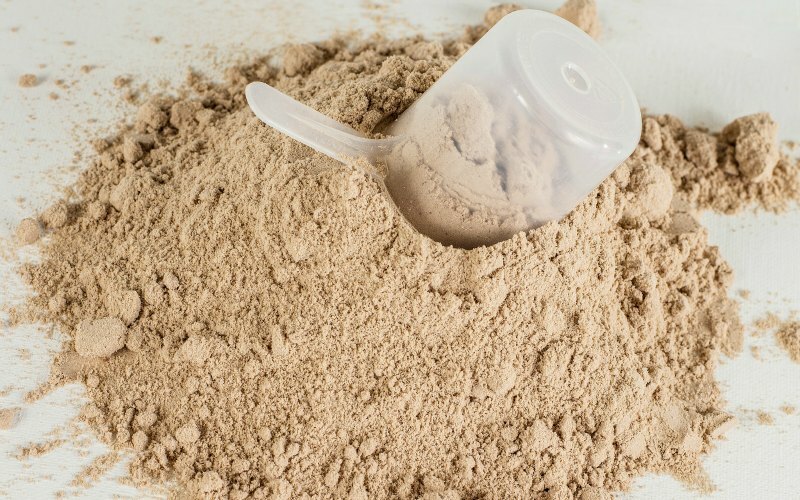 Whey protein is absorbed by the body faster than casein, but so are its benefits. It increases protein synthesis, enhances your immune system and its ability to function normally and well as giving you a boost of antioxidants. Some of the benefits of whey protein is you will lose body fat but preserve the muscle you have; it will also curb cravings for snack foods. After a while, if you incorporate this into your workout routine, your muscle gain will increase and your strength will increase also. It will reduce the hormone ghrelin, which is the hormone that tells your brain you’re hungry. Some studies have shown that consuming whey protein may actually help prevent certain types of common cancers such as prostate and colon. If this is something that has been present in your family history, speak to your doctor whether you should be drinking whey powders or supplements. Whey proteins have even proven to reduce symptoms of depression by changing the serotonin levels in your brain. To keep your glutathione levels up and to strengthen your immune system you should drink whey protein powder. Although with many benefits whey protein powder has proven to be ineffective at decreasing protein degradation. When you put whey and casein protein powder against each other, what the difference between the two? When you ingest either whey or casein your leucine levels will peak in one hour but the decrease rate differs. Whey seems to stop at about four hours in and casein stops at about seven hours in. Whey protein does not decrease protein degradation like casein does, but casein does not affect protein synthesis like whey does. The most effective by far is mixing a balance of the two together to reap the benefits of both. So base your decision on what you need or want to get out of drinking protein powder, if you need it for before and after a workout or just to add to your diet to balance things out. 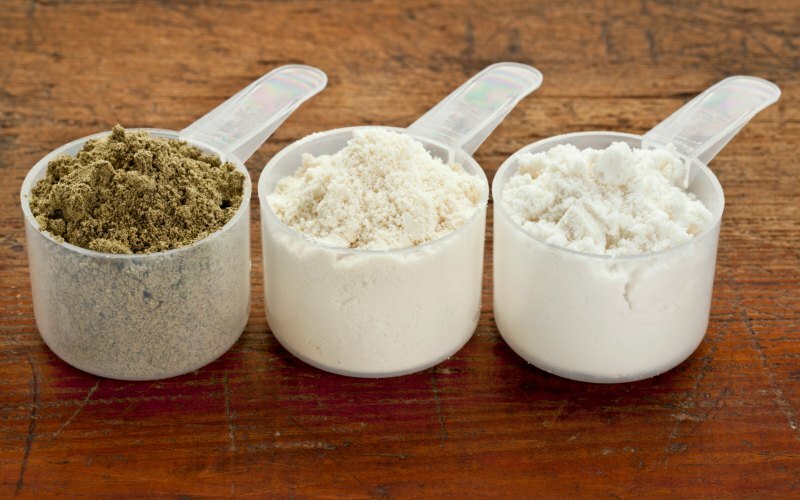 Knowing what makes the difference in both protein powders might weigh your decision and make it easier to decide which one of these powders is right for you and your lifestyle.